When Outlets of Des Moines opens Friday in Altoona, it will be more than a discount shoppers’ paradise. The $100 million project will fulfill eastern Polk County’s decades-long desire for a regional shopping center. “There’s been a lack of large scale retail options on the east side and this will fill a need there,” said Michael Barelli, vice president of New England Development, the Boston-based company building the outlet mall. The 300,000-square-foot, open-air shopping center sits south of Bass Pro Shops in the growing Shoppes at Prairie Crossing, a larger retail, commercial and residential development along Interstate Highway 80 and Iowa Highway 65. It opens Friday with about 40 stores and will eventually add 25 more as retailers sign on to the project. “We expect to be at 100 percent occupancy next year,” Barelli said. Nike Factory and Under Armour are two of the larger tenants, each with about 12,000 square feet. “We have deliberately been reserving space for a couple of larger fashion retailers,” Barelli said. He declined to name the stores, although announcements are expected this week leading up to the opening. The outlet mall will provide a mix of small and larger retailers and offer some shops that are new to Iowa or new to the Des Moines market. This will be the first Iowa stores for shoe merchants ASICS, Converse and Rack Room Shoes. And it’s the first outlet stores in Iowa for women’s boutique francesca’s, bag retailer Vera Bradley, and Yankee Candle. “This is just going to expand the metro’s reach,” said Richard Hurd, a Des Moines developer who has a lot of retail and commercial projects across the metro, particularly in West Des Moines near Jordan Creek Town Center. “We’re already bringing in people on the weekends from a 100-mile radius. And the more retail options we have, the more reason there is for people to come here,” Hurd said. Jordan Creek and the surrounding developments combined is the biggest retail draw in the metro, and the outlet mall will complement that, he said. 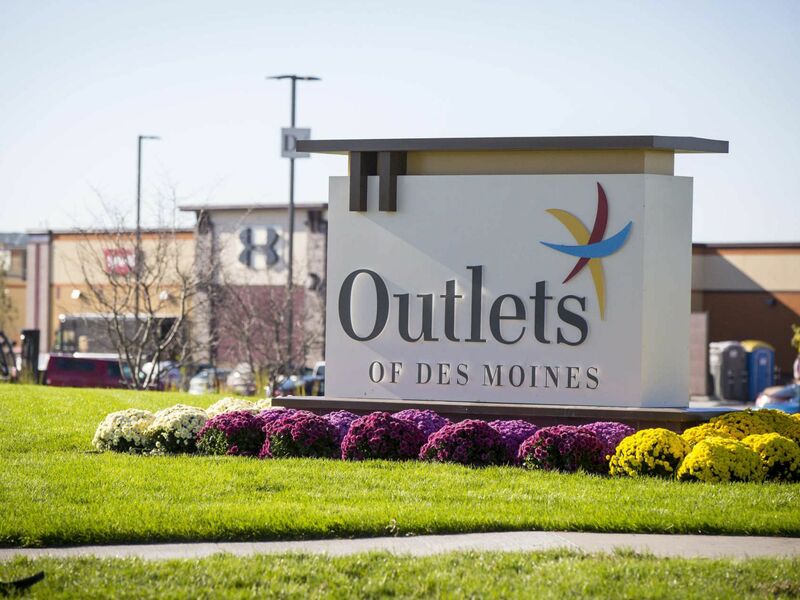 Regional shopping malls like Jordan Creek serve a different segment of the market than outlet malls, said Maureen McAvey, a retail expert in Washington, D.C., familiar with the Des Moines market.